LA auto show is a annual auto show held at Los Angles Convention Center during late November. And this year we have a plenty of concept and product models that are lined up to be showcased in this year. Today we have a most expected concept design which was unveiled by Audi at LA auto show. In the past there were a numerous leaks about the concept design of Prologue some were true and some were false. 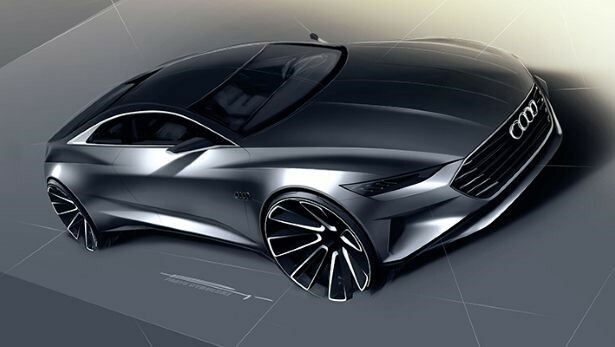 The new Audi prologue was unveiled by the Head of Design, Marc Lichte. 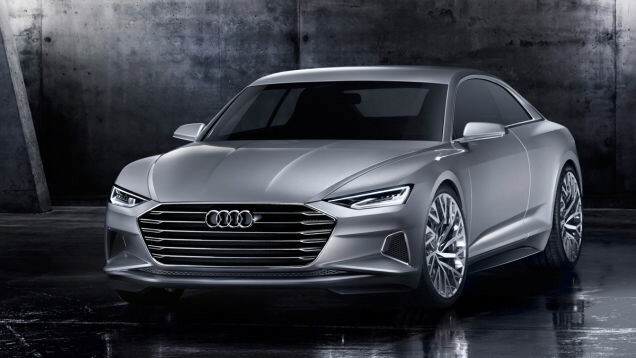 The prologue is the future of next generation of Audi A6, A7 and A8. The two door-ed concept model will surely take up the Mercedes-Benz S-Class. The prologue has simple, iconic and an eye catching design which takes the viewer’s eyes on to it. This new Prologue would be the next flagship A9 too. The prologue is powered by 4.0 litre V8 direct injection petrol engine and deliver around 700Nm of torque. The Prologue measures 5100mm, 1950mm and 1390 mm in length, width and height. In terms of exteriors the Prologues hosts some muscular looks. The large grille at the front is placed lower than the current ones. Interior is redesigned to provide an awesome driving environment. The cabin has lot more space and adapts according for convince of the people inside. The front dashboard has three OLED display for the driver to control everything from entertainment to safety assistance. All the passenger gets a widescreen display ro individually control the media option in the cabin.